We’re excited to announce the next release of Ecwid, the long-awaited version 5.0. All Ecwid users have been upgraded. So what’s new in Ecwid version 5.0? The most essential feature for e-goods sellers is now available. Now it’s possible to fully control the number of times a customer can download a purchase file and limit a link`s lifetime. These features provide greater security so that even if a customer tries to share a link to your file, it cannot be downloaded by unauthorized persons. Now it’s possible for Ecwid to retrieve real-time UPS negotiated rates (If your UPS account is eligible for them). Also Ecwid now supports the Time in Transit API, which gives the ability to determine precise delivery time for various UPS services. With these new features now implemented, we’re positive your customers will appreciate the lower shipping rates and more exact information about how soon their package will be delivered to them. Ecwid now supports three more payment gateways. Our Canadian and British users can use them to accept credit cards. Two of these gateways were sponsored by Ecwid users — Thank you Andrej and James! Thai, Indonesian,Estonian, Chinese and Greek languages are built-in to the Ecwid core. So you can now enable them in one click from the Ecwid backend. We’d like to give a big Thank You to Karan, Alekos, Silver, Iks_vincent and Yahya for your invaluable help with the translation. We’d like to give a big Thank You to Thomas and Pascal for translating backend labels. Would you like to see Ecwid in your language? It’s possible! Please contact us for details. Ecwid now has two new views of the Minicart: Mini and Mini attached to Product Browser. These new views are great for those who would like to show the order total in the Minicart and don’t like the large Minicart widget. A new order status option has been added to Ecwid. It can be used when the order has shipped, but hasn’t been delivered yet. 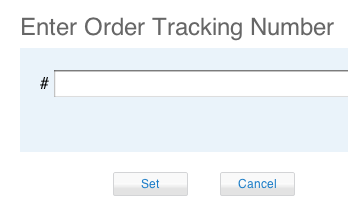 Also, it’s now possible to assign tracking numbers for all orders regardless of which shipping method was used. It’s now possible to sort products by name and set the default sorting order for all of your categories. No more manual sorting of your products, just set a necessary option in Ecwid backend and your products will be sorted instantly. – Small changes in the image gallery; it now shows the title below the image and allows for seeing the original image in a separate browser window. — Now it’s possible to hide the Continue Shopping button from all pages including the last Thank you for your order checkout page. — The new Ship to a residence FedEx option. — The new Authorize only option for the Authorize.Net SIM gateway. And many other minor tweaks and improvements. We want to thank all Ecwid users who voted for suggestions in our ideas base. If you voted for the features that are already implemented in this release, you will get your votes back. So you will be able to vote for the new ideas. Feel free to use and enjoy these new features. If you need any assistance or have any questions on how to use them, just post your questions on our forums and we will be happy to help.